We look at some of the most popular frameworks for spinning up applications and servers. Read on to get started! Download this project and import it to your best IDE. I’ll be using the IntelliJ IDE for this tutorial. 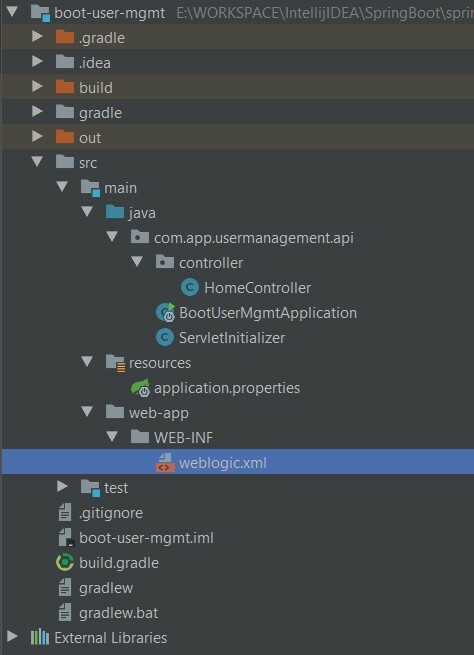 To deploy your application in WebLogic you need to implement WebApplicationInitializer in your ServletInitializer, which is the extra effort you need to perform. Remember, we need to add this interface if you are going to deploy in WebLogic server. For Tomcat, its not necessary. Please note that we just need to include "org.slf4j. *", the rest can be excluded. The complete project is available in GitHub. Published at DZone with permission of Anish Panthi . See the original article here.